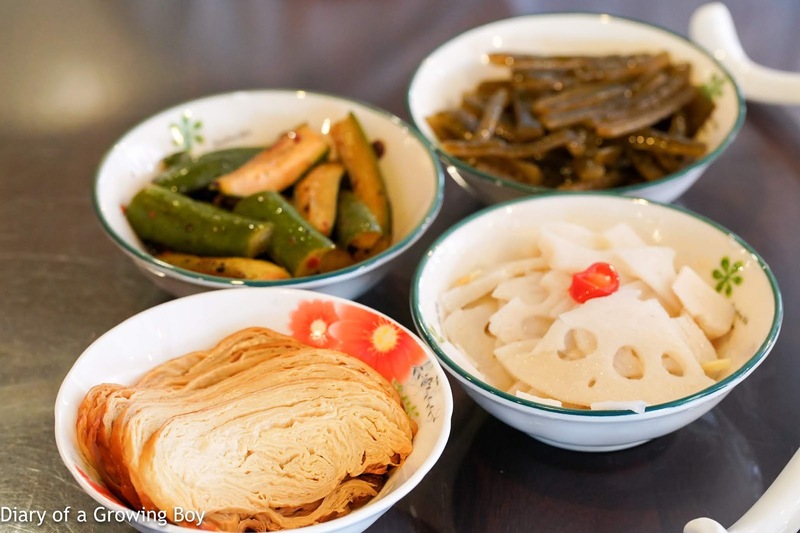 Three different soup bases are offered, along with a combination of three different toppings. I went for the middle-of-the-road braised stock. 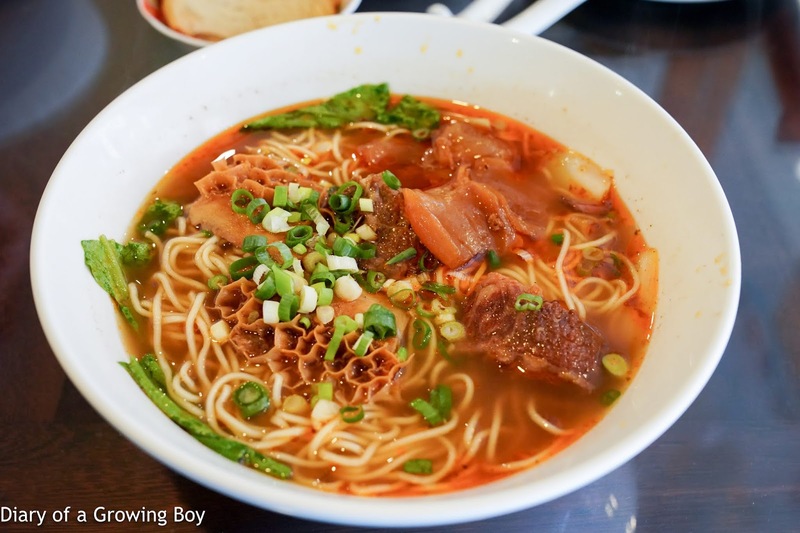 Braised beef noodles with three treasures (紅燒三寶麵) - the three treasures are beef, beef tendon, and honeycomb beef tripe. I thought the soup base was just OK - it was neither very rich nor very bland. The noodles were very thin, and lacked any bite that I was looking for. The beef was tender enough, though... with some tendon. Ai-ya... I seldom order their beef noodle, only other items like Sesame sauce noodle, Wonton soup, Szechung dumplings in chili oil etc. The owner's brother at 史記 is much better at making beef noodles, especially the clear-broth version. Just my 2 cents. Thanks, SG... When I asked around for alternatives to my beloved (and very pricy) Beef Father, some people mentioned this place. Sigh.